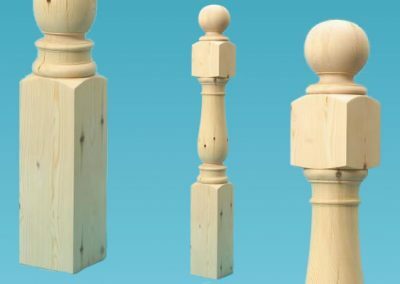 When you are designing your wooden staircase, whether that be a helical staircase, spiral staircase, traditional Victorian or modern staircase, the most important feature to make it look truly impressive is always the newel posts. 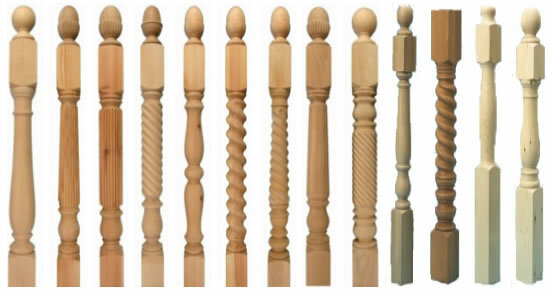 At Barley Wood we are able to manufacture all the parts of your staircase, including balustrade, handrail, stair treads and newel posts. 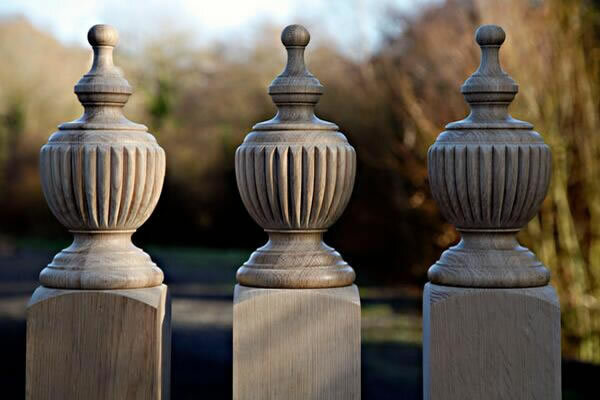 We can supply half newels, double top newels, stair box newels, carved newel posts, burbridge spindles, oak spindles and newels, or unique designs to suit your requirements. 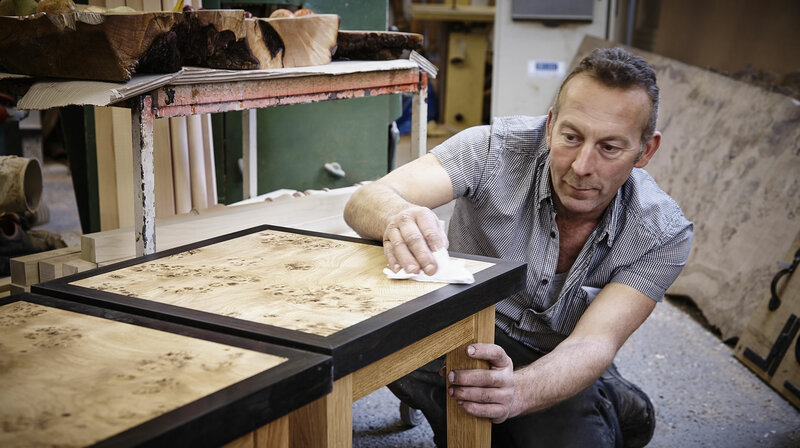 If you have an antique or one-off design that you are looking to have duplicated or copied, we can also arrange that for you too! 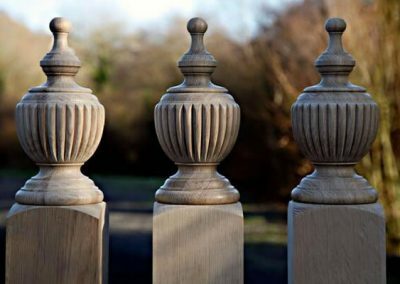 Bespoke Wooden Newel Posts service extends throughout Sussex, Kent the South East & across the whole of the UK. 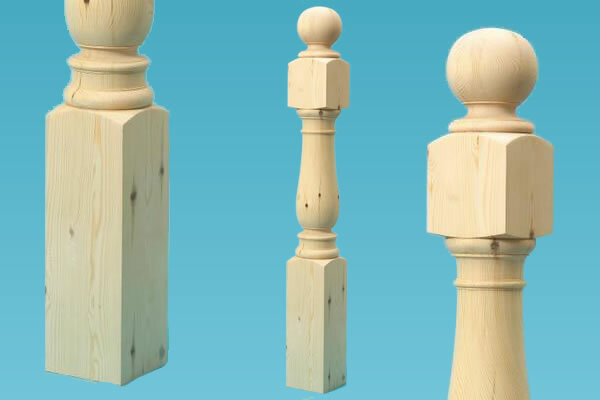 In the illustration on the left you can see a newel post that is acting as the support for two flights of stairs. This staircase has a landing and as you can see the newel post has been prepared for the lower flight of stairs which is going to be set into the back of the newel post as you look at it. 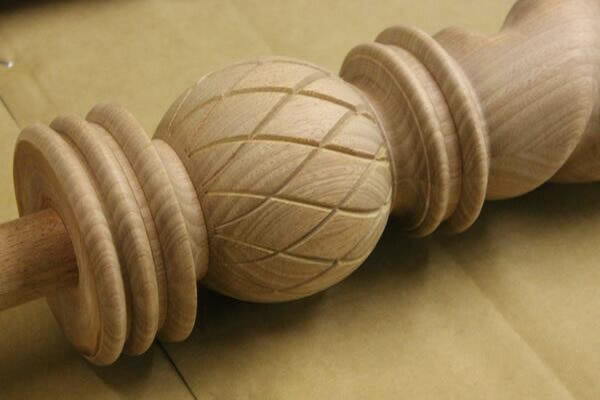 The rising set of stairs, its bannisters and rail, will be set into the right side of the newel post. This will enable the user to move up from the landing to the next floor. 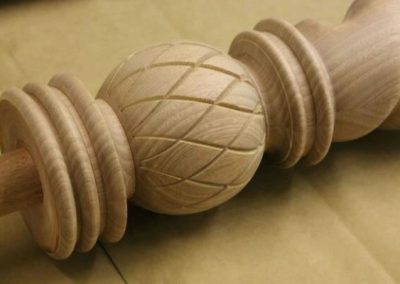 The newel post has also been notched ready for the landing to be joined to it. 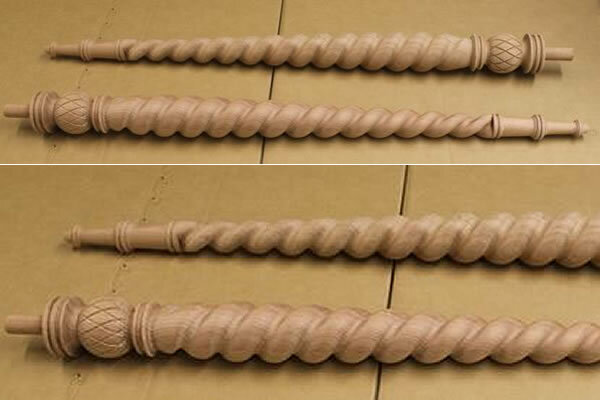 Our standard newels are 1400mm long, 160mm square top, 565mm turned section with 700mm bottom square. 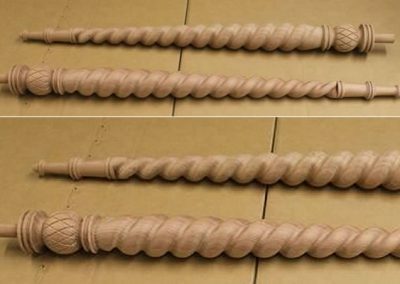 Custom newel posts can be any size or shape you require.